I love a roast chicken dinner! My latest 8 & 20 for WineSpectator.com just happens to be a roast chicken with a kick: Harissa Chicken with Preserved Lemon and Olive Couscous. One of my favorite things about a roast chicken dinner is–you probably guessed it–the leftovers. So many leftover makeover options! This particular dinner lends itself particularly well to a making a grain bowl. All the components are already there. - A little extra harissa, to taste. - Shred up the chicken. Toss everything here together in a bowl along with the couscous and the chicken and serve. That is it! Everything in that bowl will keep well for a few days, so this is a good one to make on busy week to have for lunch throughout the week. To switch it up a little bit, later in the week I took this same salad and mixed it with some kale, a little goddess dressing, and some feta and layered it on tortillas to make wraps. Ok, not a great pic, but you get the idea. Finally, because I still had chicken left even after all of this, I used the last bits in Chicken and Veggie Quesadillas. 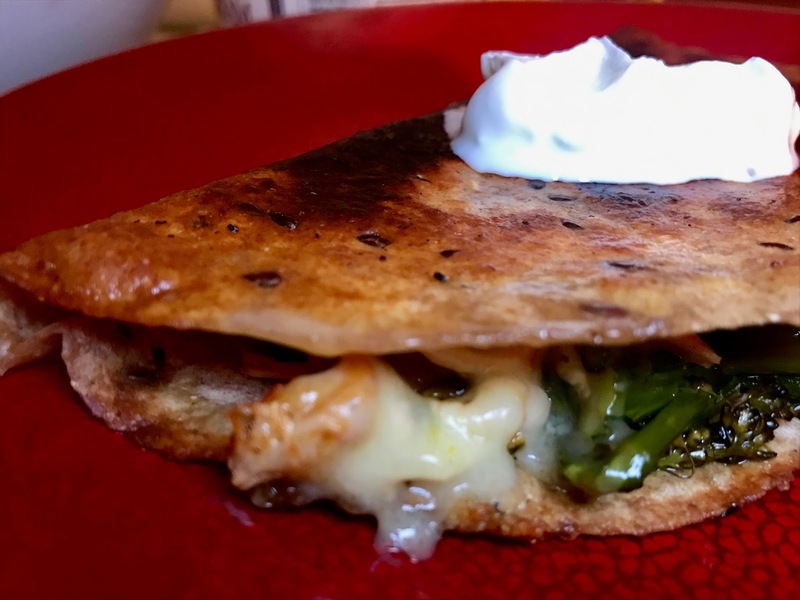 - Heat the chicken up in a pan with the leftover cooked veggies and layered the chicken with the veggies and shredded cheese on tortillas. Don’t over stuff. Fold over the tortillas like a book. - To finish it, I grill the tortillas in a heated cast iron skillet with a little oil over medium-high heat. Cook until the tortillas are crispy and golden on the first side, then flip and cook until it’s crispy on the second and side and the cheese is melted. - Serve with hot sauce and sour cream. 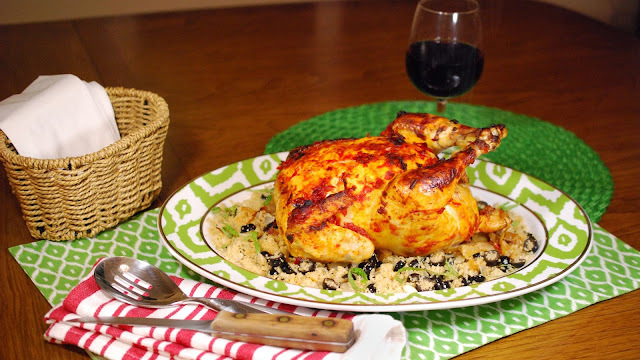 You can find another of my favorite roasted chicken options here. That one is more of a classic style.